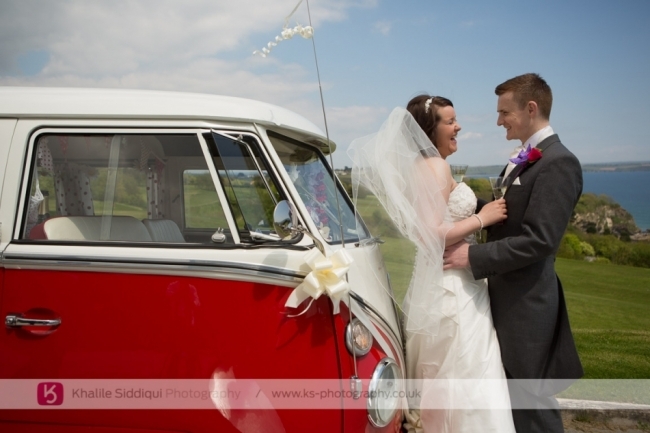 “Privileged to have them as part of our wedding day! 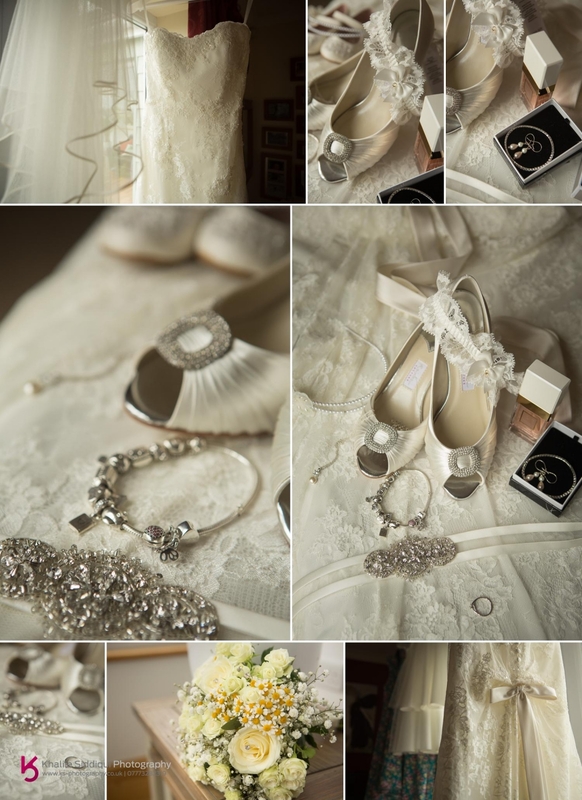 Not only incredible at what they do but they enhanced our wedding day by far and had such a positive impact! Everyone loved them! They have such great personalities, they’re fun, bubbly, and they absolutely made our wedding day! We couldn’t have dreamed of any better! 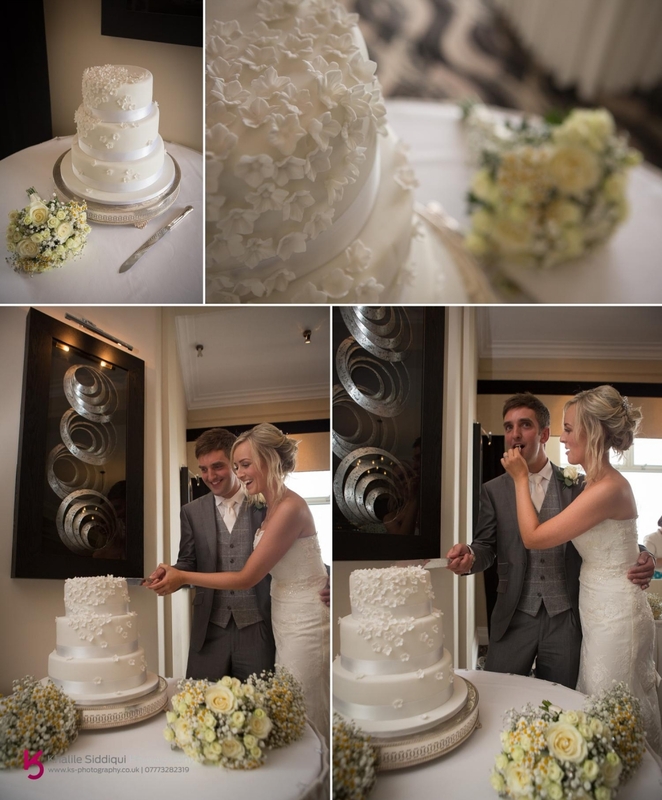 They captured every moment possible and made myself, my husband and all the guests feel so at ease, it felt as if we had known them for ages! Would recommend to everyone!!!! 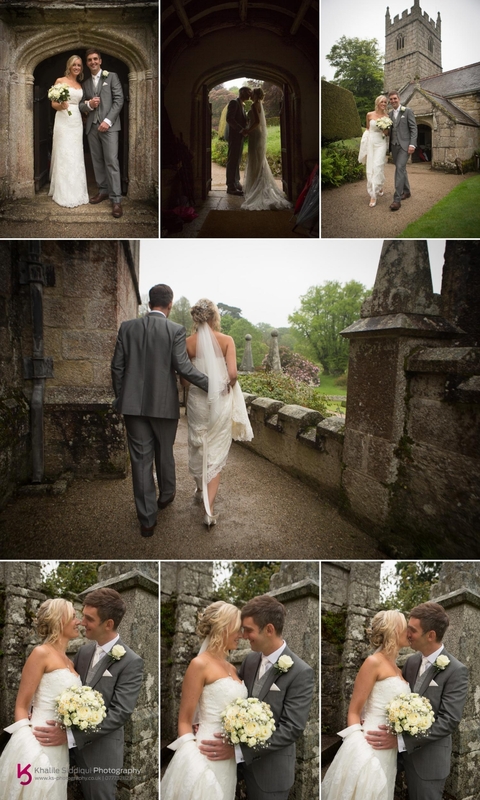 When Lauren and Ryan chose us after receiving a recommendation for their Lanhydrock church and Carlyon Bay Hotel wedding, I was more than a little bit excited to be shooting at Lanhydrock church, and anybody who's been there will know why. 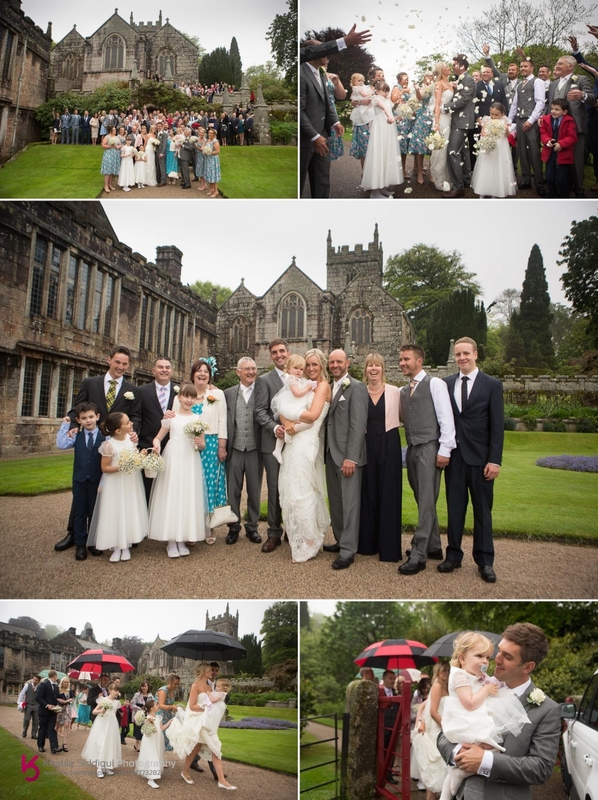 Lanhydrock house with its own church is an absolutely stunning house and grounds. 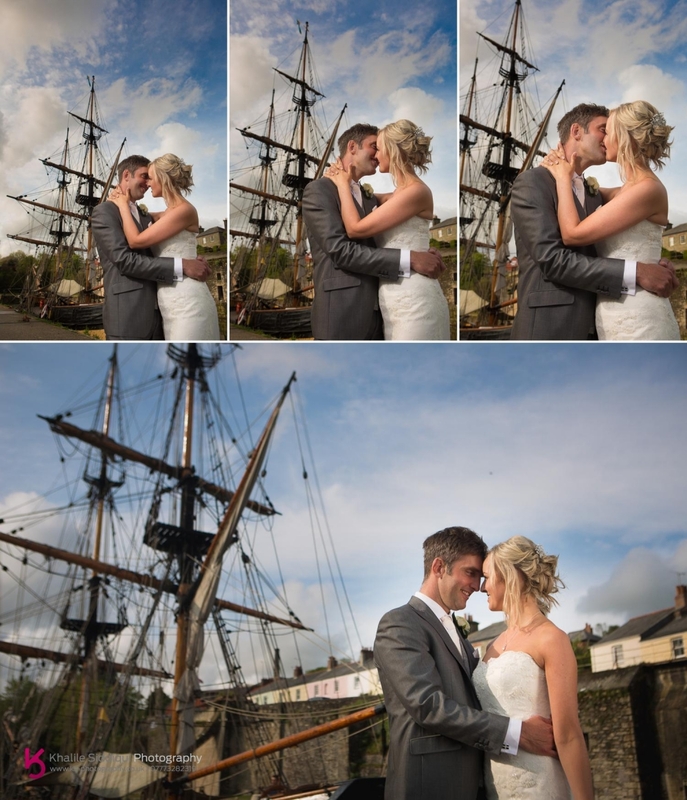 I've been there a couple of times before for shoots but this was our first time there for a wedding. 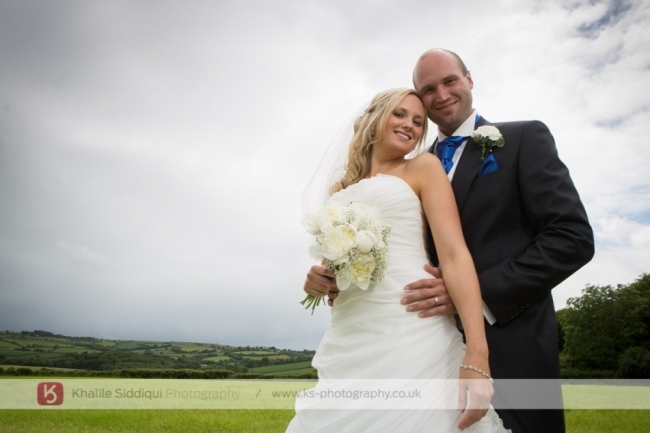 Our day started by bumping into the lovely Hayley from Fleurtations in Bodmin, who were doing the flowers for the day. We found her outside Lauren's parents in Bodmin where the girls were getting ready. 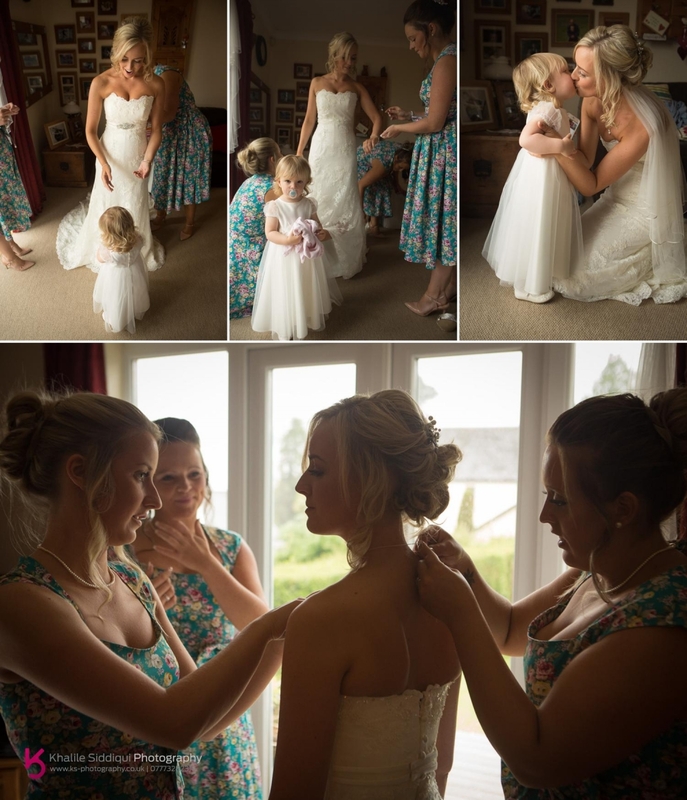 Lauren had plenty of help getting ready from her four bridesmaids in their blue floral dresses, and her three flower girls. The youngest flower girl being Lauren and Ryan's adventuring daughter who didn't stop trundling around on a little mission all day, and she was joined by Ryan's elder daughter and his niece too. 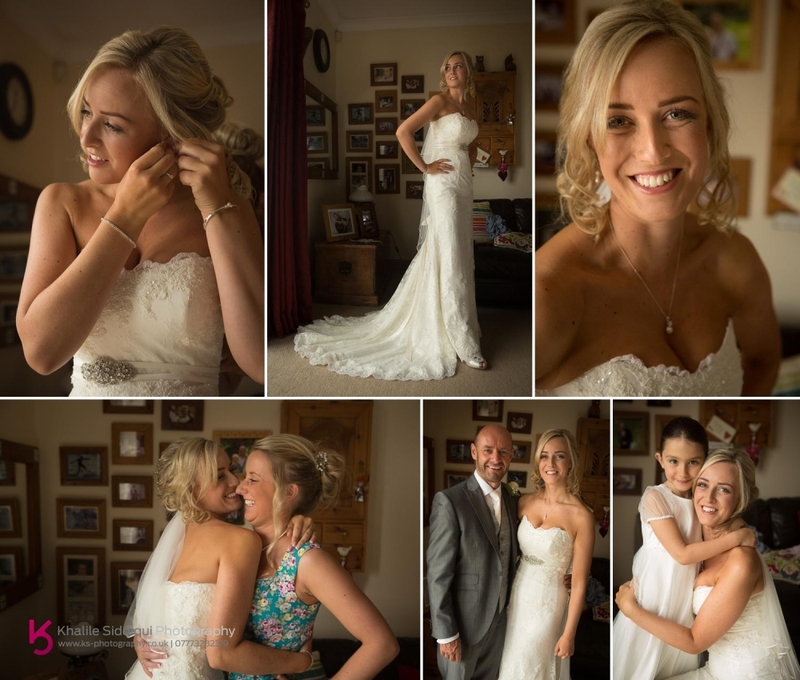 Unfortunately the makeup artist was running a bit late getting to us, so we weren't left with very long to get some relaxed group shots with the girls and family but it seemed rude not to try. And I've always got time for a bit of playfulness! 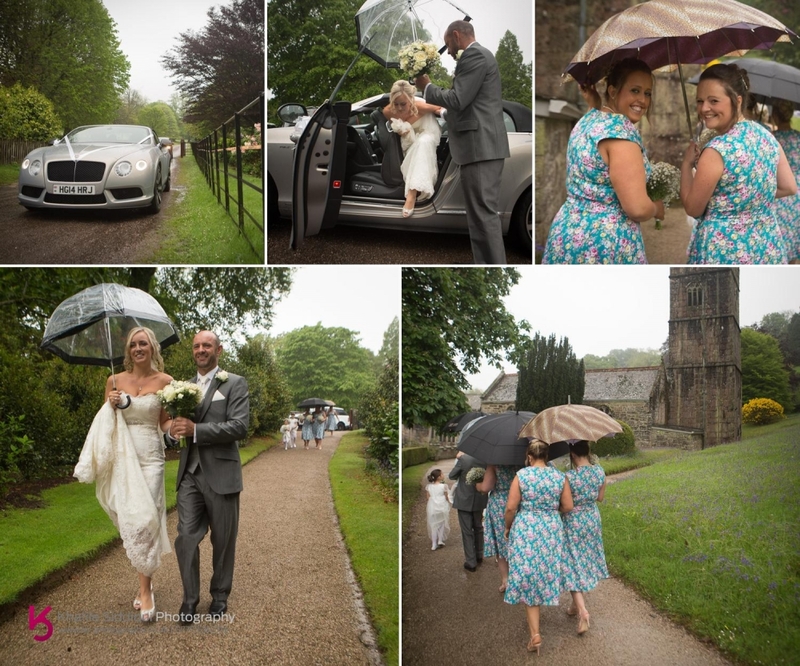 Then it was time to head out into the rain where I helped ferry some of the bridesmaids to the church where Ryan and their guests were patiently waiting. 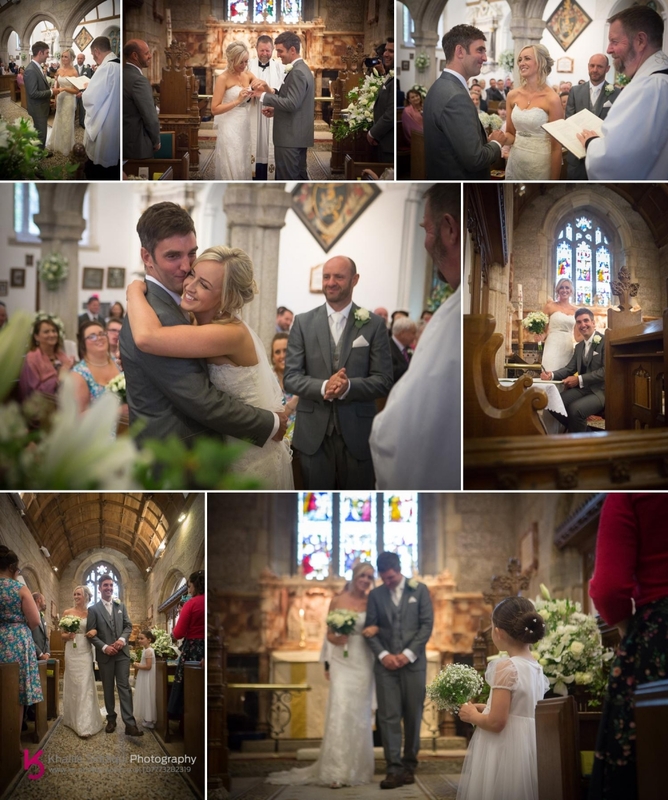 I have to say the vicar there was absolutely lovely and it was easy to see that he obviously loved his job. 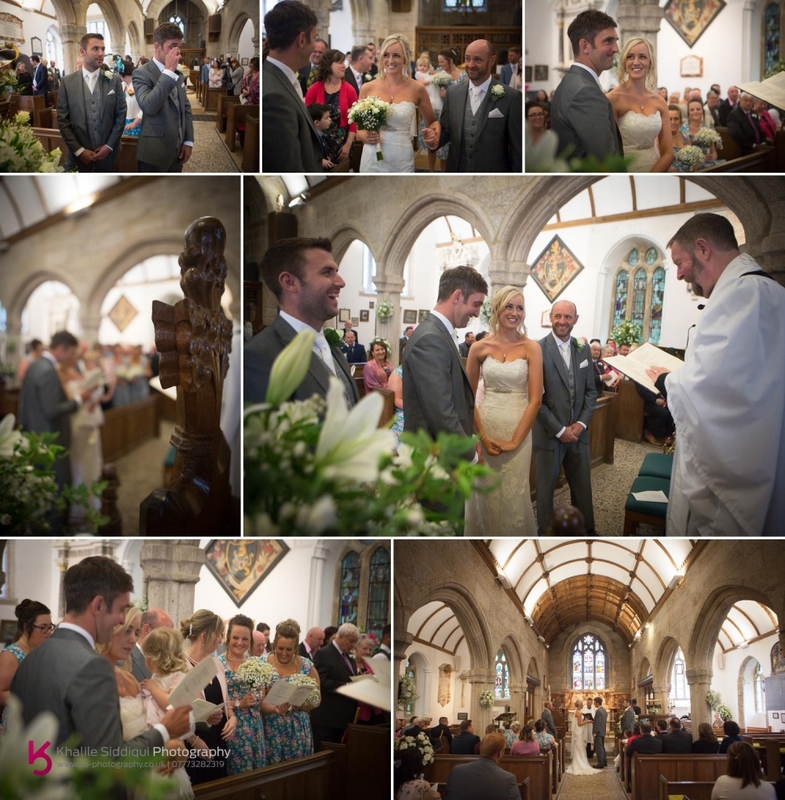 It was a ceremony full of love and laughter enjoyed by all, in the beautifully lit church. After the ceremony we were treated to a break in the weather for about ten minutes, so we cracked on with a few of the short group photo list Lauren and Ryan provided us with. 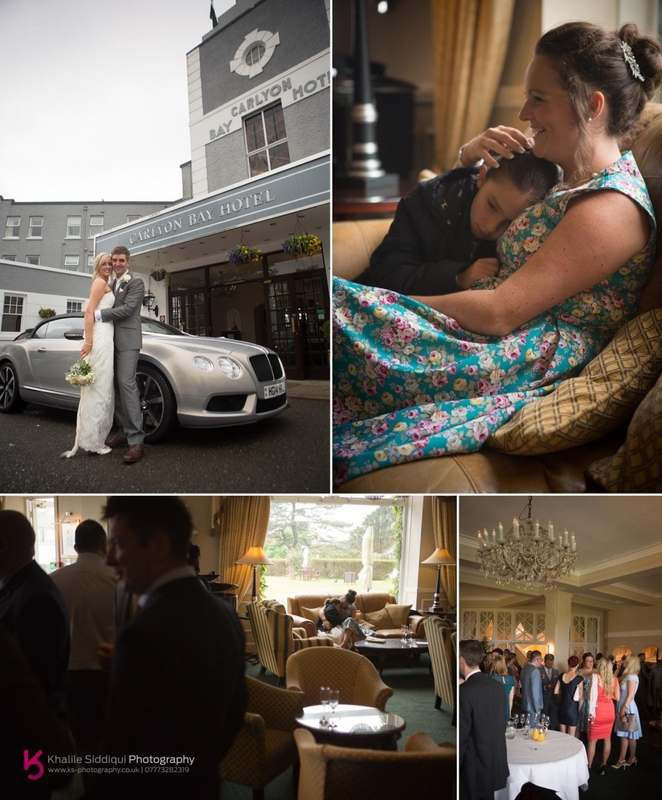 Lauren and Ryan took the twenty minute drive south to The Carlyon Bay Hotel in a beautiful Bentley Convertible, where drinks were waiting in the private bar area within the hotel. Our couples guests didn't have long to wait before it was time to sit for the wedding breakfast, with speeches taking place at the beginning of the meal. And the cake cutting to signify the end. 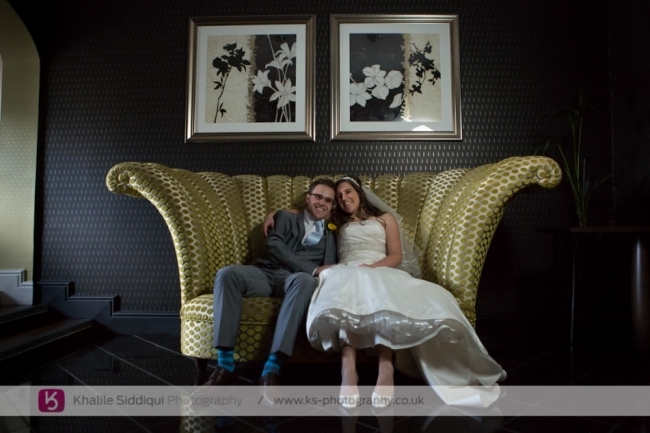 There's this really funky little sofa in the the hotels brasserie which I love, so after a quick shoot there, it was time to whisk the beautiful Lauren and Ryan down the road to Charlestown for a few photos. 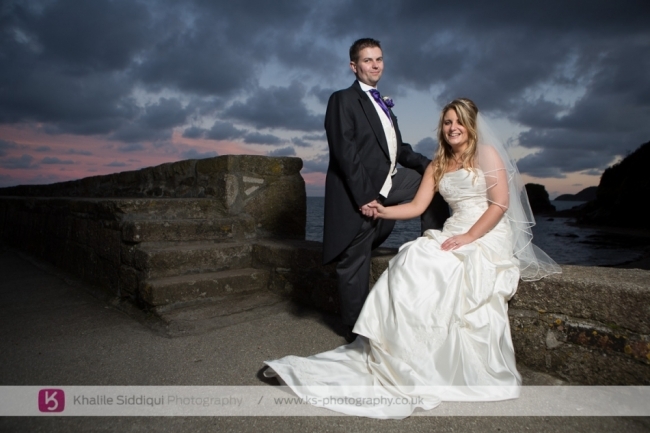 It turned into such a lovely evening down in Charlestown with sun basking around while we got photos on the sea wall. And by the solitary tall ship that was moored in the dock. 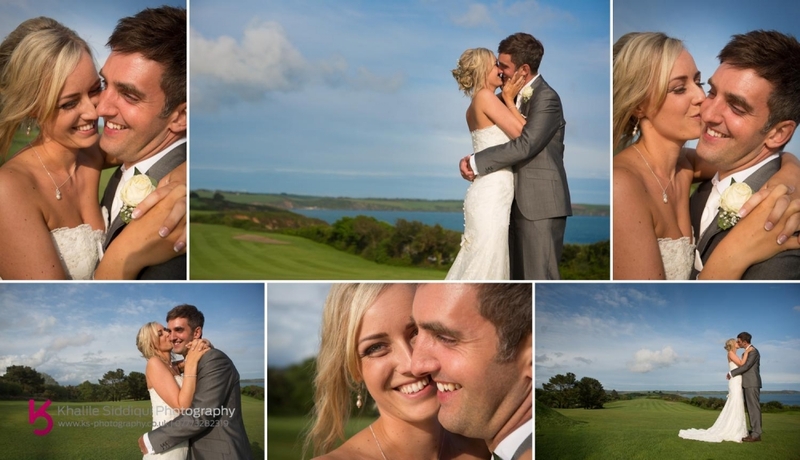 When we went back to Carlyon Bay, the evening carried on in the revamped golf clubhouse, but somehow we managed to beat everyone else there, so we made the most of the continually improving weather and got some photos with the rolling hills of the grounds in the background. 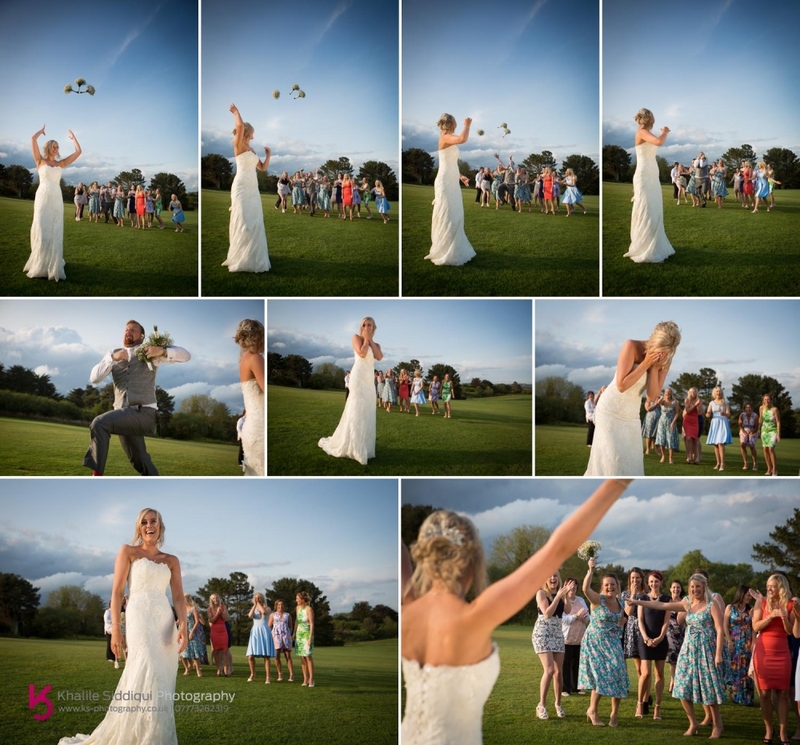 Once the guests arrived Lauren asked if we could get a shot of her throwing the bouquet, just look what happened CLOSELY! 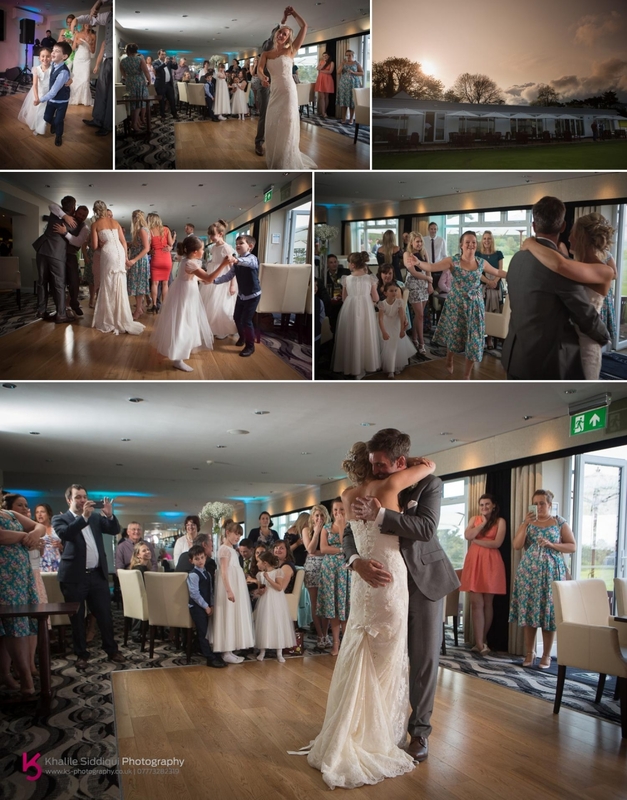 Lauren and Ryan's guests weren't shy when it came to joining them on the dance floor, especially Ryan's nephew and daughter, man that little fella was showing ALL the big boys up on the dance floor! 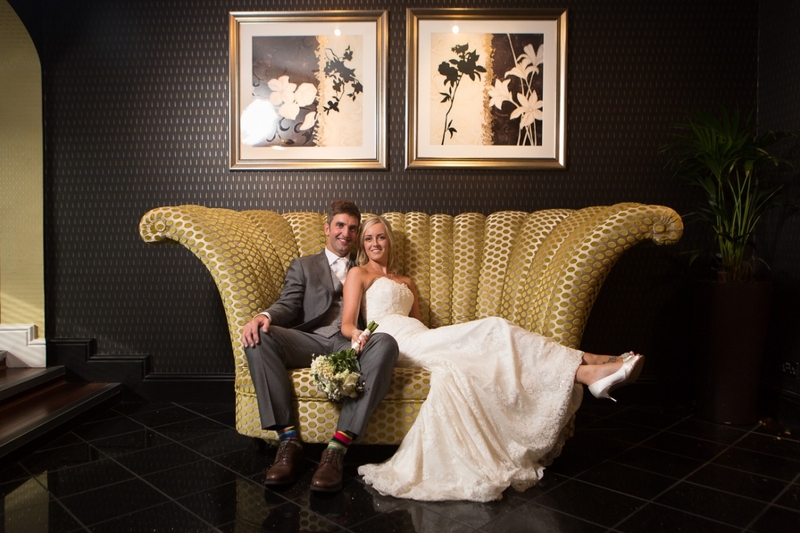 Dearest Lauren & Ryan, Tams and I had a wonderful day with you, and as I always say, its the people that make a wedding day, not the weather, and you guys certainly had the right people around you to provide an awesome day. We wish you all a long happy and successful life together! 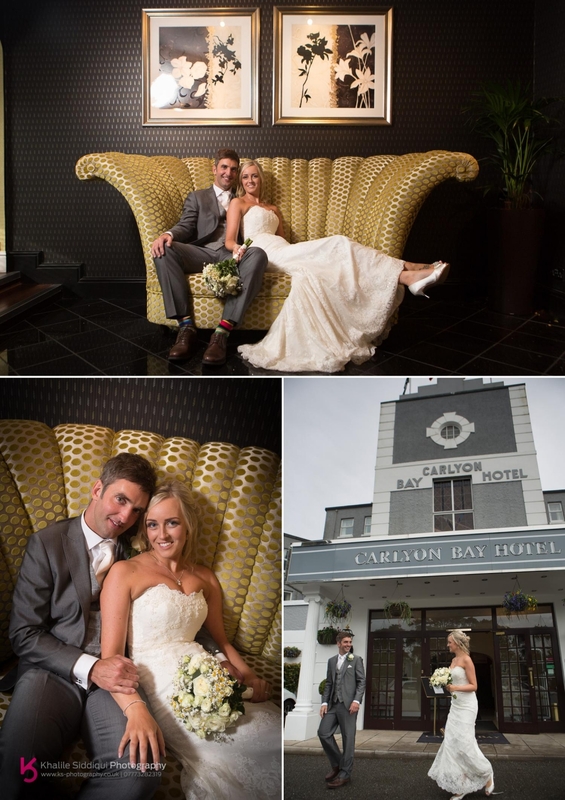 It's been a few years since we've shot a wedding at the 4 star Carlyon Bay Hotel, my its changed a bit! 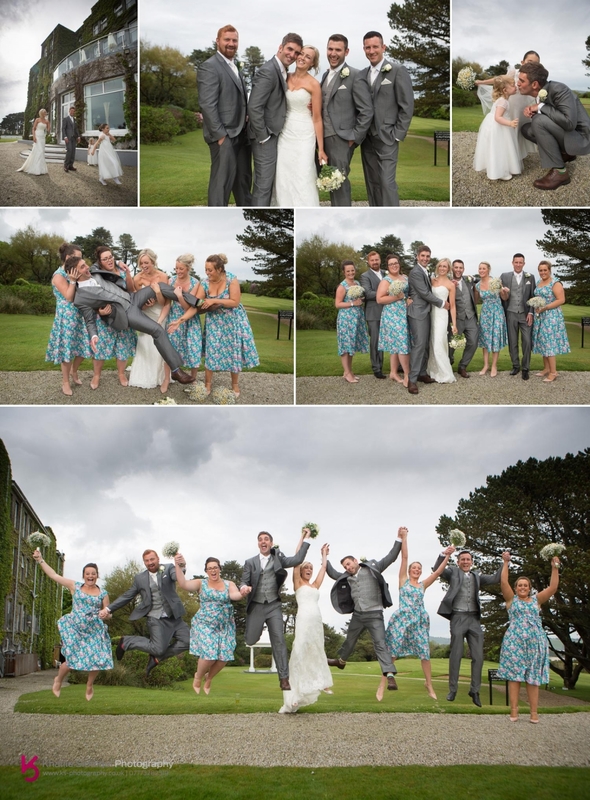 Boscundle Manor wedding of Juliet and Chris with the ceremony at Charlestown church and couple shots in porthpean and Charlestown. 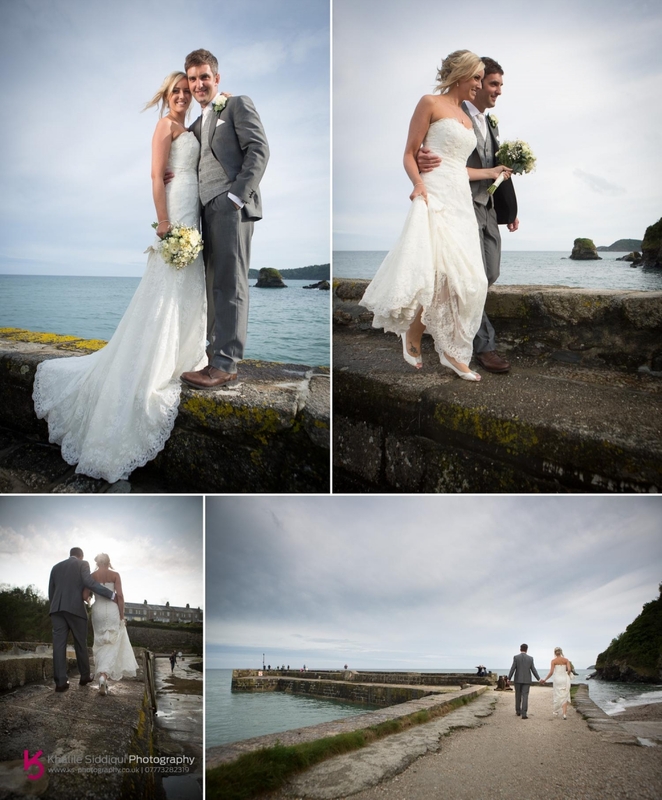 Carlyon Bay Hotel Wedding of Emma and Simon, Charlestown, Cornwall.